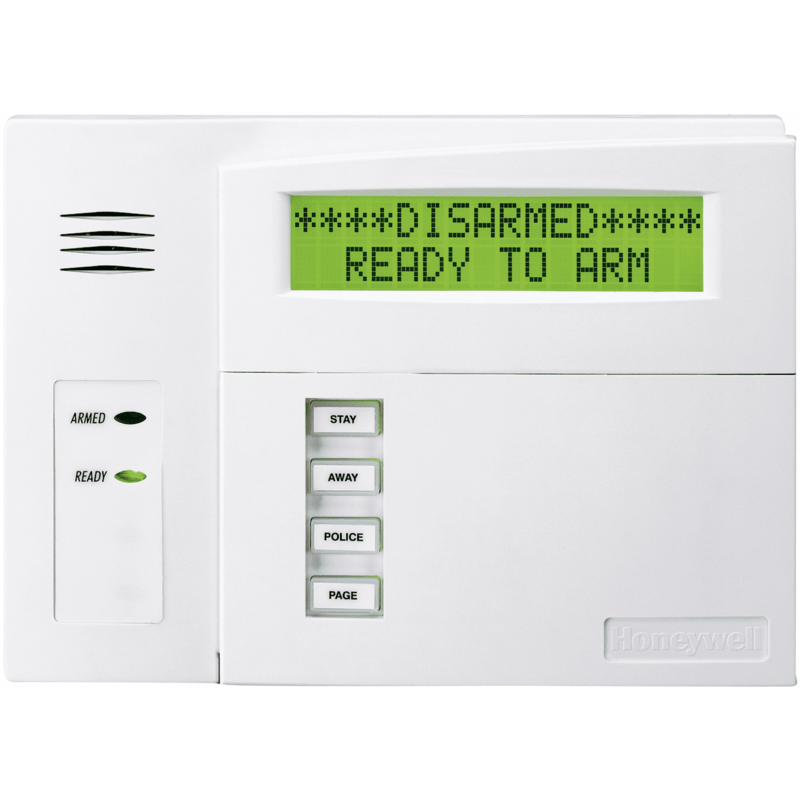 The Honeywell 6160RF is an integrated alarm keypad and wireless receiver. This seamless design helps reduce installation time and increases valuable add-on opportunities. It adds full wireless capability to any Honeywell VISTA security system without additional wiring or sacrificing zones and allows you to add remote wireless keyfobs for your convenience. The attractive white console blends with any décor and features a contoured, removable door that conceals illuminated soft-touch keys. The 6160RF alarm keypad also features a new larger and brighter 32-character display with easy-to-read plan-English status messages. The oversized function keys are easily accessed even when the keypad door is closed, and can be programmed for fire, burglary, personal emergencies and other operations. Colored self-adhesive labels are included. This keypad does allow you to program a security system, as it has an alphanumeric screen display. The 6160RF keypad display is backlit when any key is pressed and times out after 30-45 seconds. Permanent display backlighting is an option on some controls (refer to the control panel's instructions for details). However, the backlight on the keys is always on for easy visibility and cannot be disabled. A basic sounder is built in to the keypad and no external sounder is necessary.